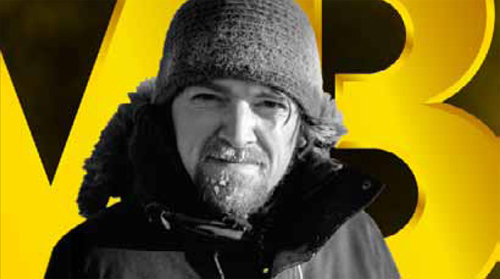 Norris’ photo career started in 2006 and since then his work has been featured world-wide in a variety newspapers, magazines and websites, including National Geographic.com. To date his photography has been featured in two group exhibits, including a show at the Royal Ontario Museum in Ontario, and six solo shows. In November of 2011, Craig made the leap from documentary photographer to documentary filmmaker. 2016 is bound to be a big year for the 36 year-old photographer turned filmmaker. He will be releasing Kokota: The Islet of Hope, a 30-minute documentary commissioned by the European Union that explores climate change adaptation projects taking place on a tiny chain of islands off the east coast of Africa. This short introduces viewers to people that are on the front lines of climate change and tells the story of how these unlikely heroes have managed to innovatively adapt to a warming climate. This film promises to leave audiences inspired and motivated to bring climate change adaptation action back home to their own communities. Norris will also release his second web doc series entitled Surviving the Fundy Footpath, which was commissioned by the UNESCO Designated Fundy Biosphere Reserve and funded by Mountain Equipment Co-op and Parks Canada . This six part series follows Bruce Persaud, a city slicker from Toronto, with zero camping experience, as he attempts to complete one of Canada’s most difficult multi-day hikes. This hilarious doc series will have audiences cheering for the underdog and flirting with the idea of hiking the trail themselves. As these films are being released Norris will be preparing for his next assignment. This time he is headed back to Africa for the European Union to explore how climate change is effecting Malawi and what locals are doing to adapt.